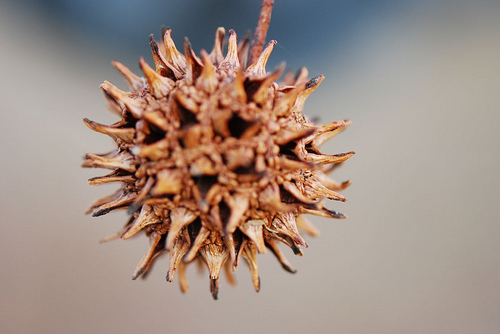 I just bought 100 sweet gum pods for wreath making. I feel ridiculous paying for the pods. It seems like I see them everywhere, but not when I actually need them. From now on, I will pick them up when I see them. They are quite pretty, aren't they?